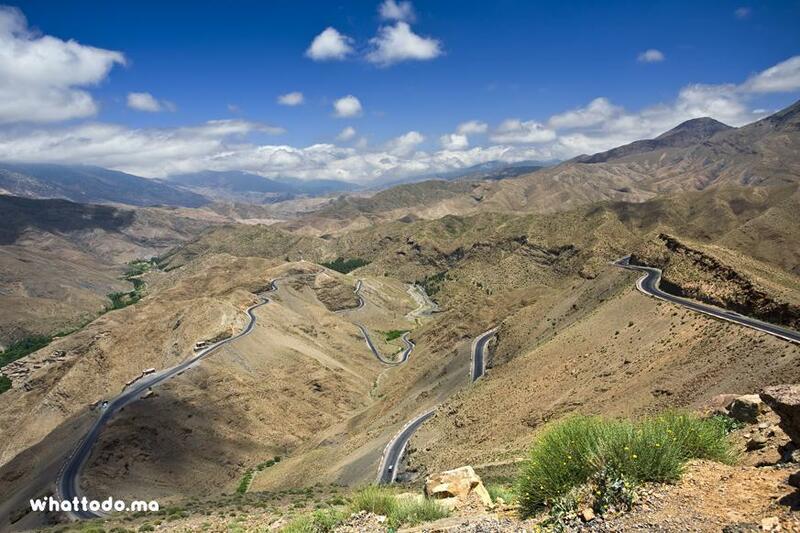 Cross the mountains of the High Atlas via the majestic Tichka Pass, located at an altitude of 2260 m.
Visit the Kasbah Ait Ben Haddou, registered by UNESCO as World Heritage. 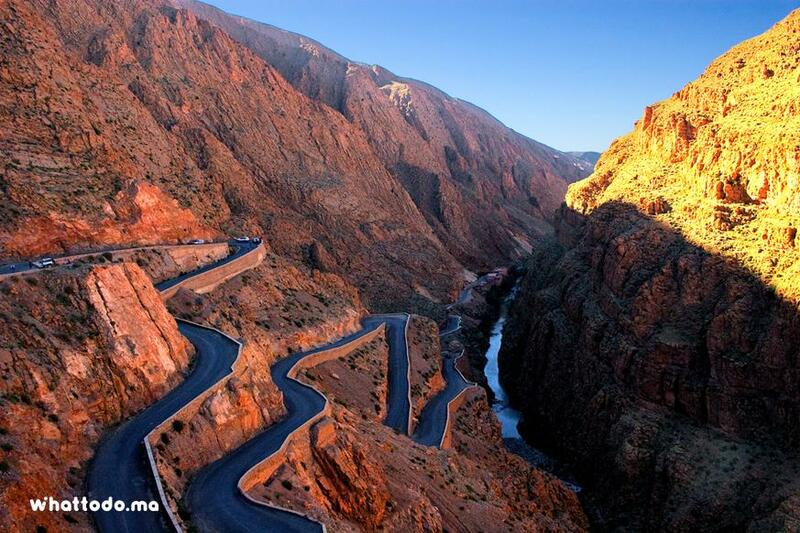 Cross the three valleys: rose’s valley, Todra valley and Dades valley. 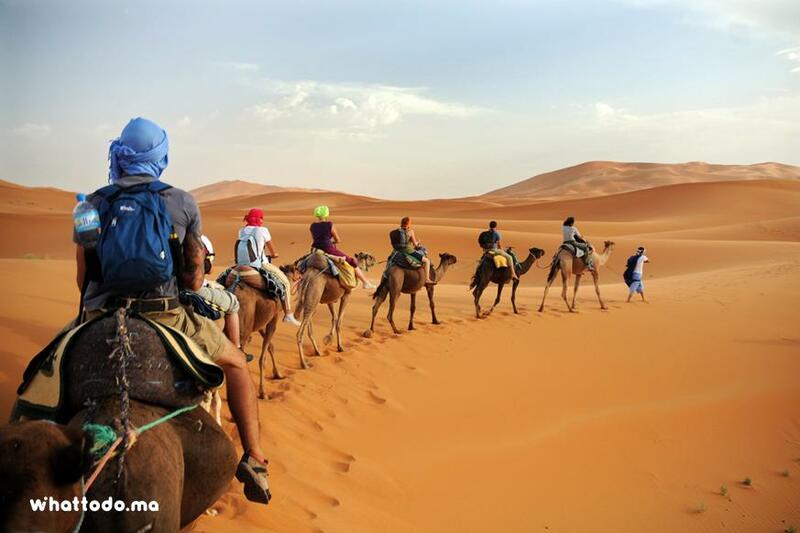 Enjoy the large dunes of Merzouga on camel while admiring the attractive change of color at sunrise or sunset. 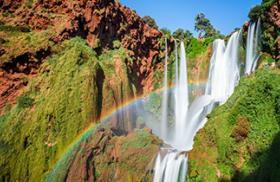 Discover Deraa Valley and its palms that are irrigated by Dades Valley. 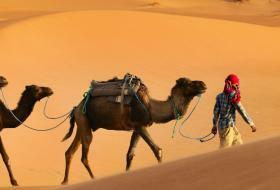 Merzouga desert tour our most popular Morocco desert tours, makes live an experience rich in landscapes in the Sahara. 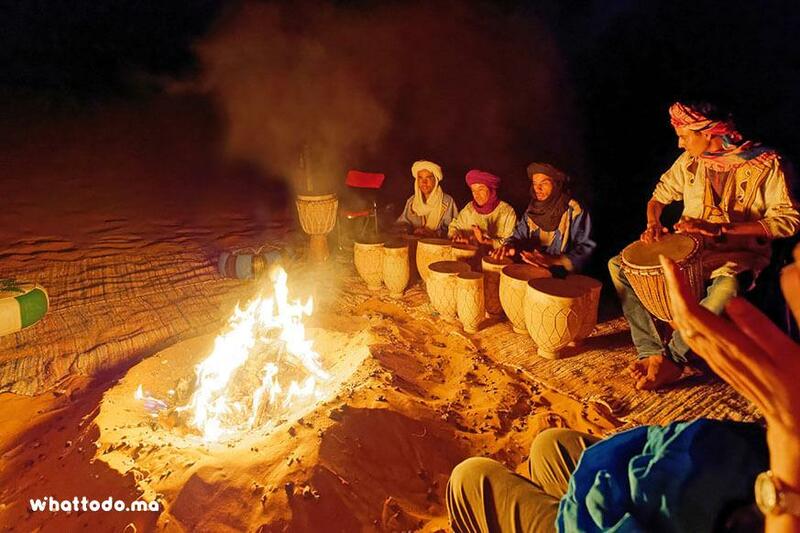 Departing from Marrakech across the high atlas mountains and during 3 days, among the Merzouga desert tour from Marrakech you will never get bored because you will be busy admiring one scene after another. Pick-up starts early in the morning. 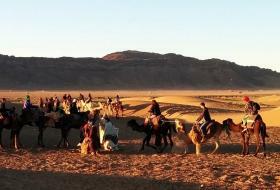 You will leave from Marrakech towards the Kasbah Ait Ben Hadou passing by the collar of Tizi Ntichka and High Atlas mountains. 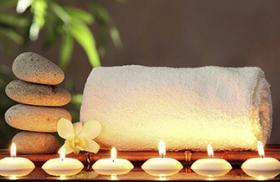 Many stops will be made during the journey. 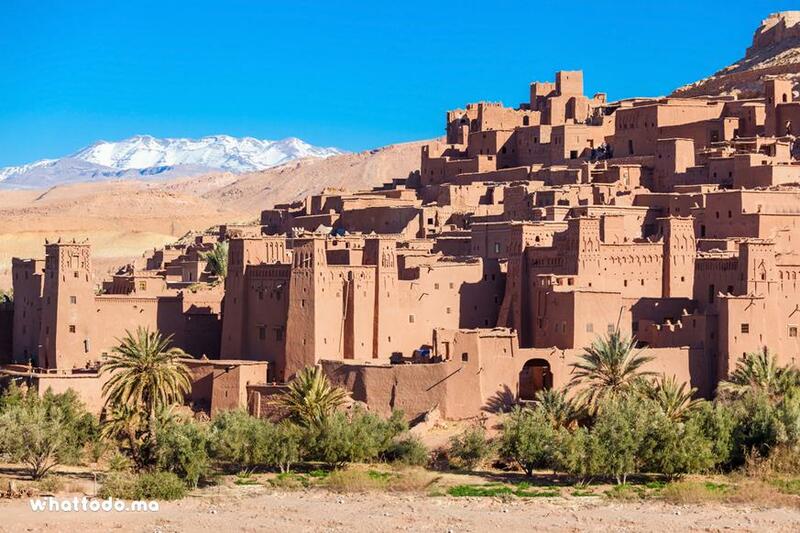 You will visit the Kasbah Ait Ben Haddou. 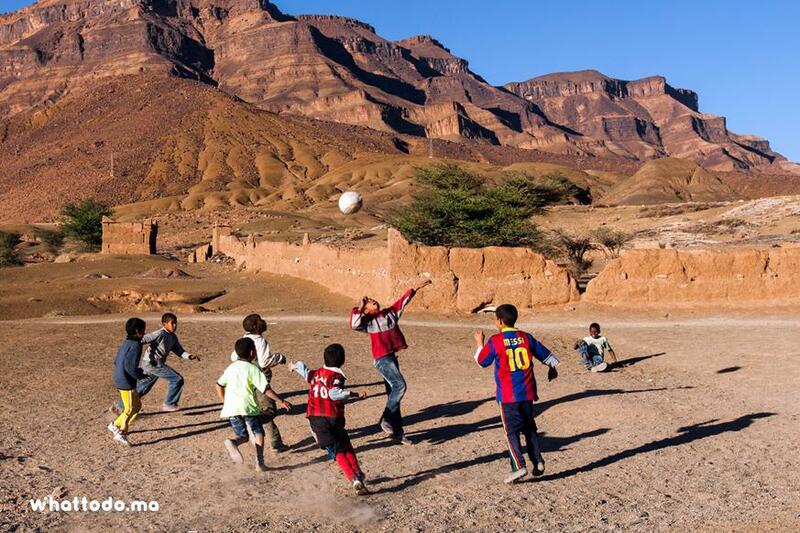 It’s a UNESCO World Heritage dating from the 11th century. 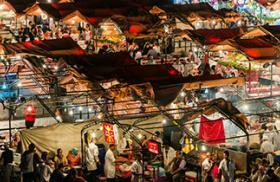 It is a striking example of the architecture of the traditional Moroccan South, a picturesque site filled with emotion. 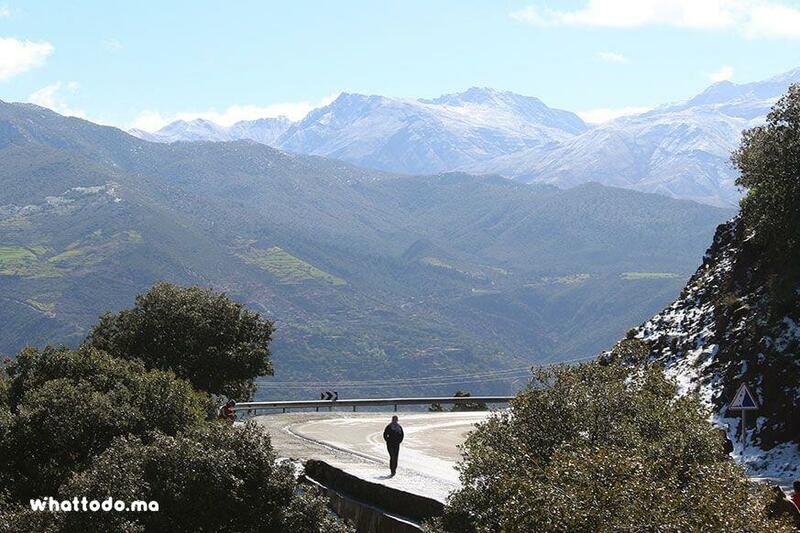 After lunch, you’ll continue through the Roses valley to reach your accommodation at Dades. 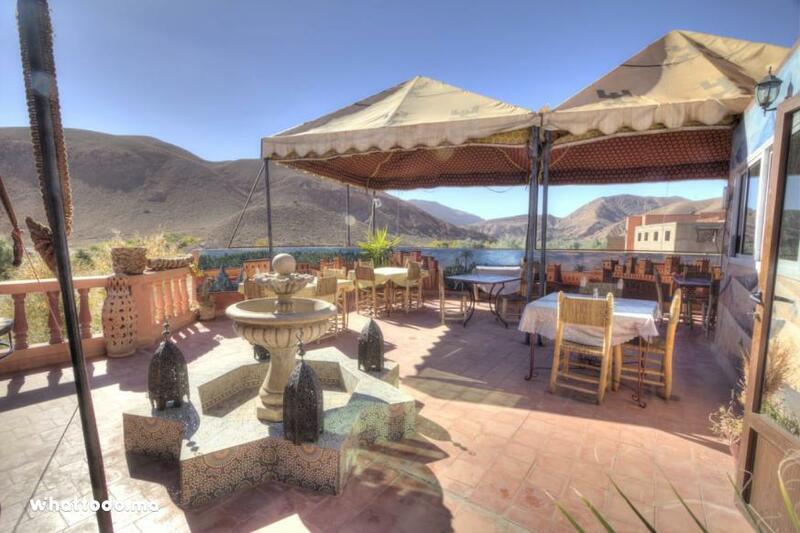 After a traditional dinner with Berber dishes, you will spend the night in a hotel and enjoy a magnificent view of the valley. 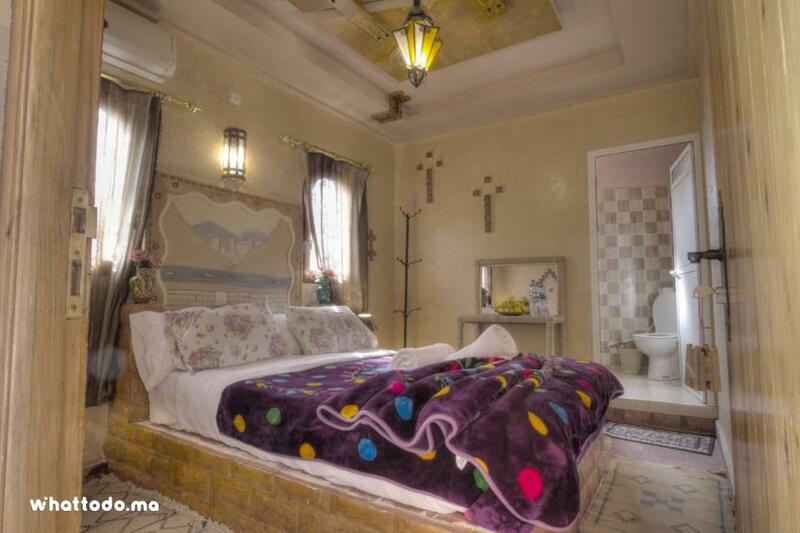 After breakfast at the hotel, you will then leave to the Toudra Gorge, which are naturally constituted oh high limestone cliffs that have been hollowed out for millennia. 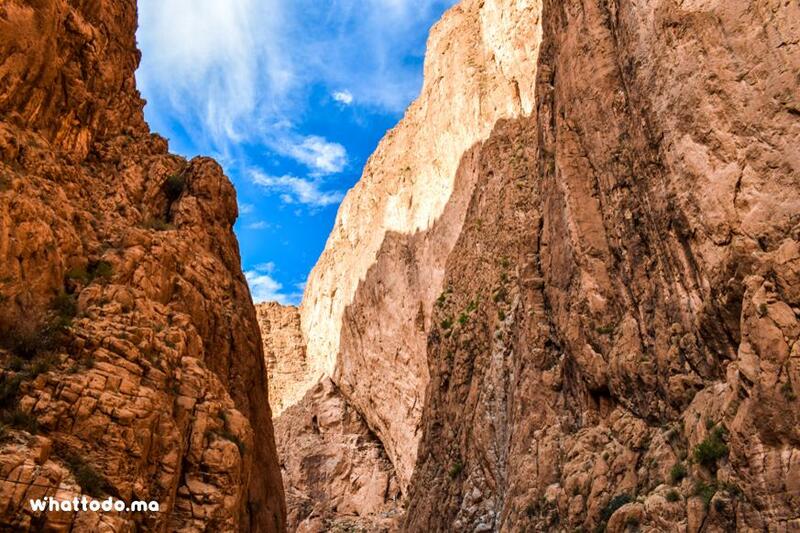 This wonderful site is also the delight of climbing enthusiasts. 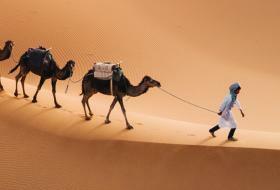 After lunch, the journey will continue to the fascinating dunes of Merzouga. 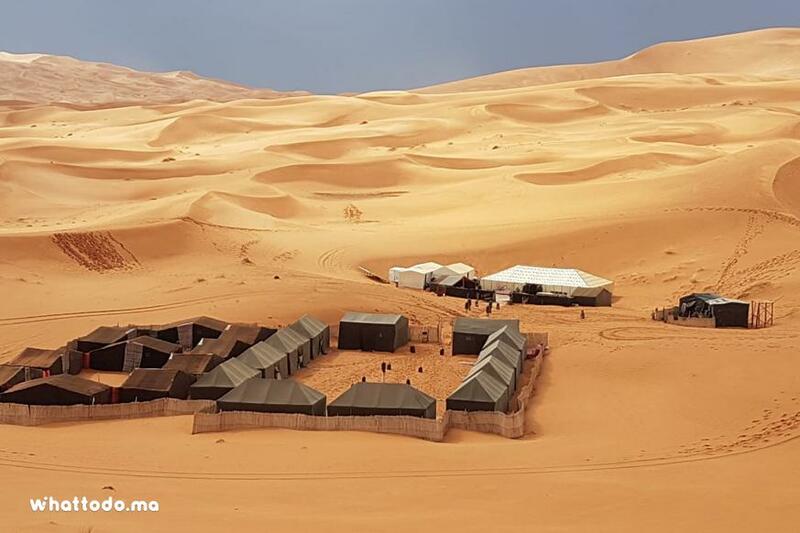 It is a village that marks the beginning of the Sahara. 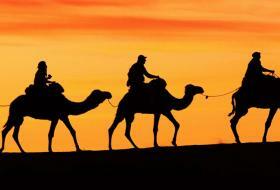 At this stage, vehicles will be replaced by camels to enjoy a traditional camel ride for 1hour. 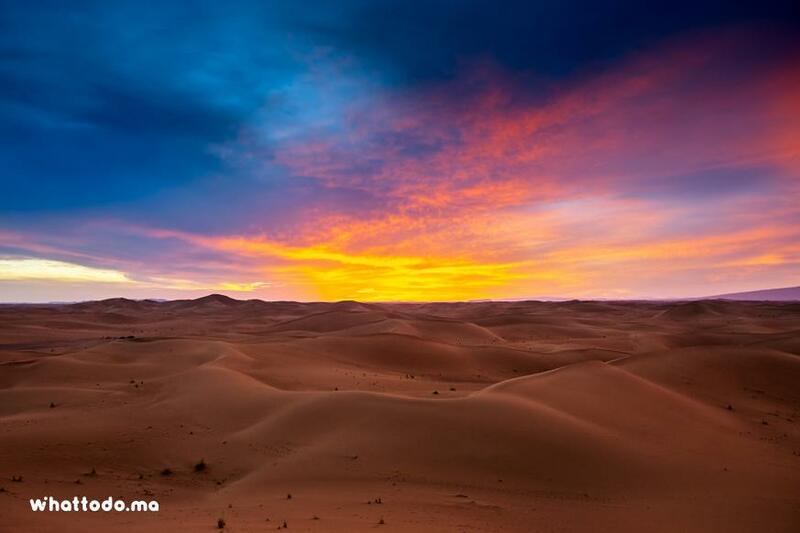 You will cross the dunes and admire the sunset and the colors in perpetual evolution. 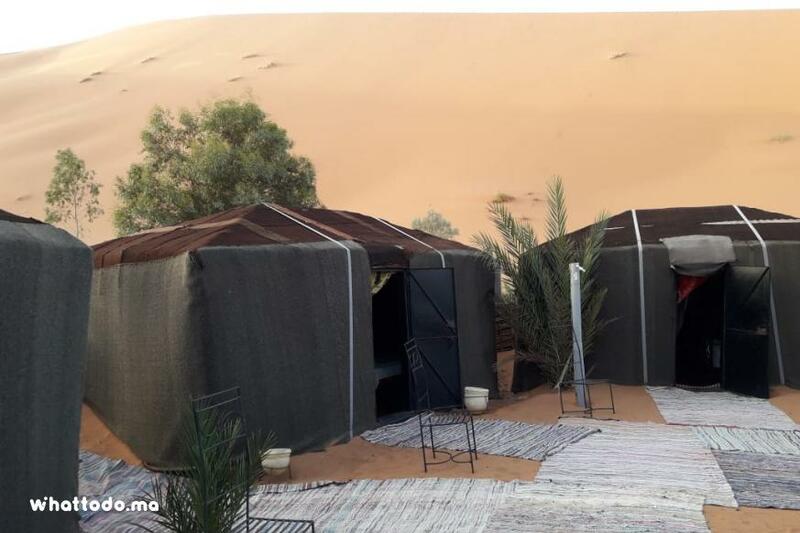 After a traditional dinner with Berber rhythms, you will spend the night under the stars in a nomad tent in the middle of the desert. 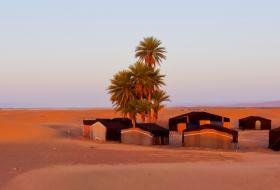 Early in the morning, you may attend the sumptuous sunrise. 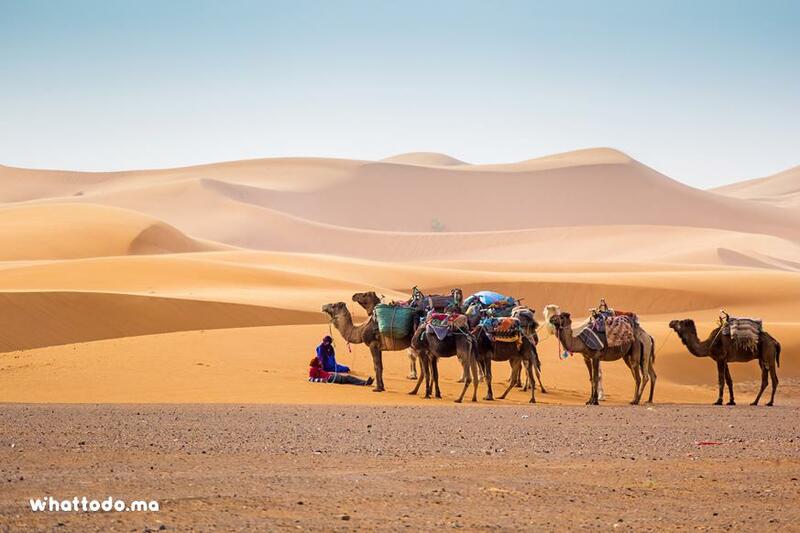 A magnificent contrast, shadows, lights and colors... After the traditional breakfast, divert camel back to Merzouga. 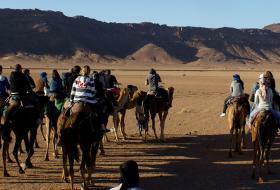 Continue through the Draa valley and the Berber village of Agdez to reach Ouarzazate and visit the Kasbah of Taourirte. 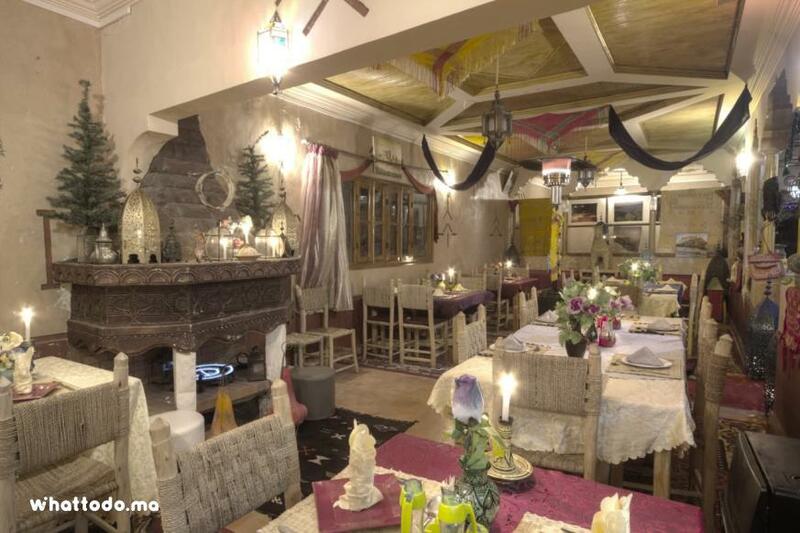 It was built in the 17th century by the Glaoui tribe. Admire the exterior architecture of the monument, a sand castle with bronzed walls rising to the sky, crenellated towers at different corners of the Kasbah. 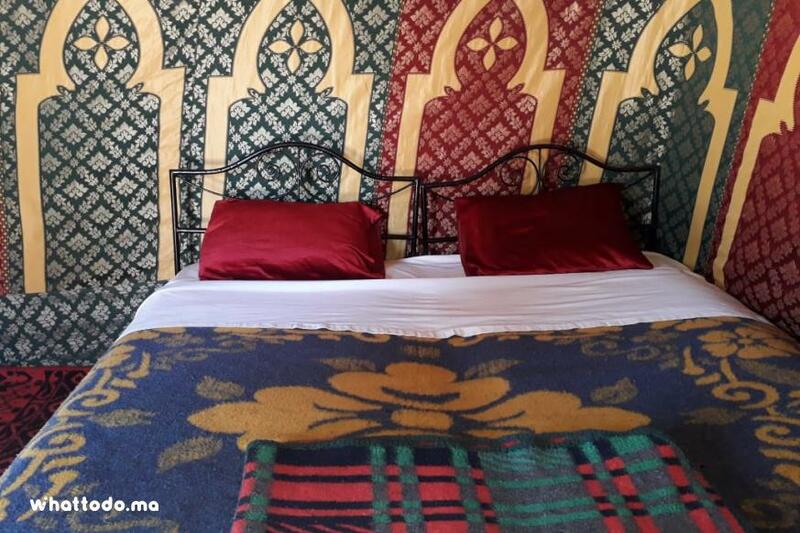 Accommodation in an authentic hotel in Dades, private room with AC (cooler & heater), includes dinner and breakfast. 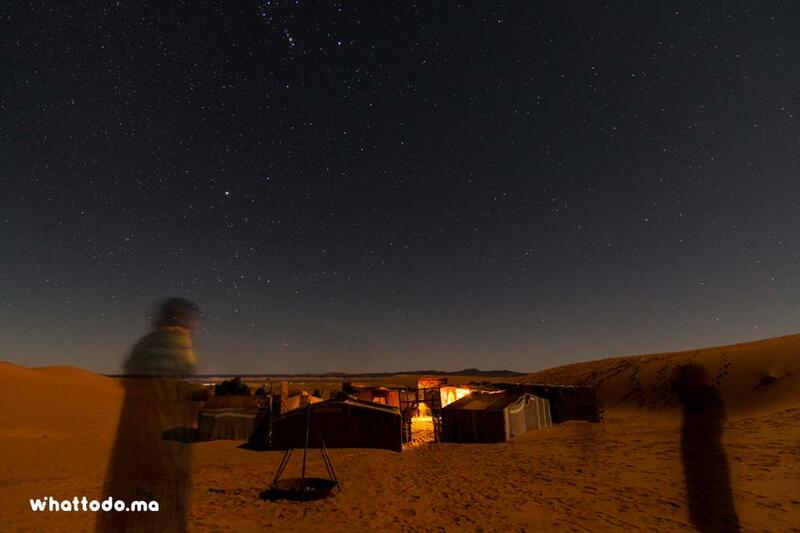 Accommodation in a nomadic bivouac in the dunes of Merzouga, private tent, dinner and breakfast included. 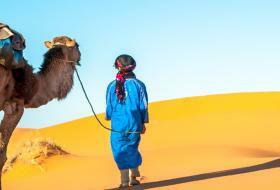 Camel ride in the dunes of Merzouga. 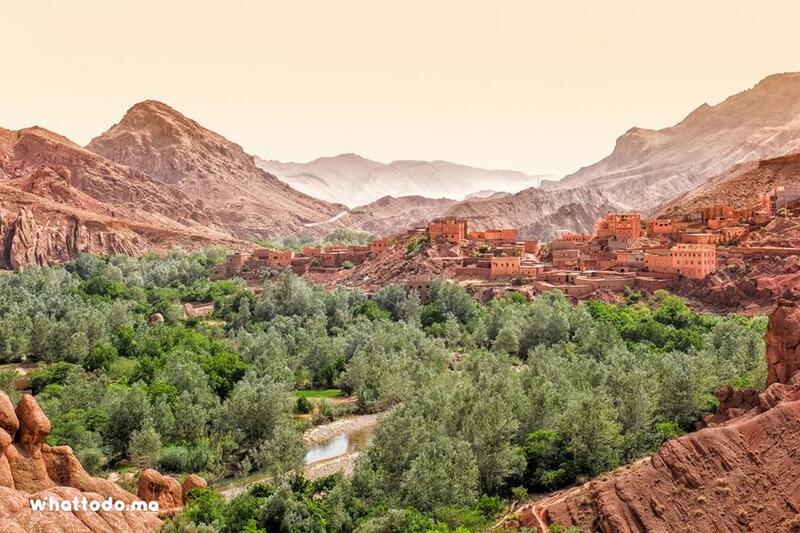 Local guide to visit Kasbah Ait-Ben-Haddou (optional). 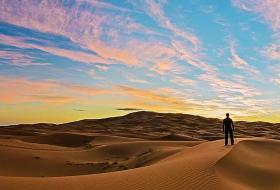 Bring comfortable shoes, warm clothes for the night, sun creme, a hat or cap, sunglasses.